We create tailored marketing campaigns to inform your customers about services and promotions they will want to receive! 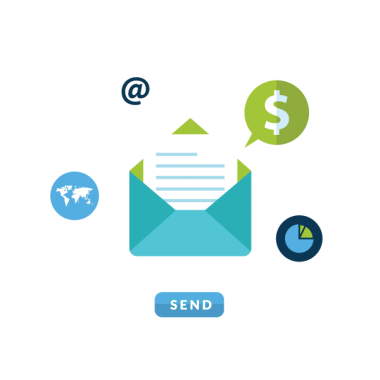 Boost your internal marketing efforts with regular email marketing. Targeted, personalised and highly cost effective - it is an amazingly effective way of becoming better appreciated and valued by customers, and raising awareness and interest in your focus products and services. An email marketing campaign goes straight to the inbox of the recipient making it quick and easy for them to keep up to date with what is happening in your practice. With one click, they are through to your website and looking at product and services information specific to their needs. With customer testimonials, promotional video production and perhaps even an incentive offer to encourage them to get in touch there and then, they are just a couple more clicks away from completing a 'request information' form on your website and to booking a slot in your diary. Yes, when done properly, converting a website vistor to interested and motivated customers can be that simple! "By segmenting your database and identifying the specific needs and requirements of your customers, Email Marketing makes it quick and easy to effectively target groups of customers with relevant images and messages that grab attention and drive a response." We design unique style emails with personalised content to help you promote your business and servcies. We get your message out to your customers in a friendly and cost effective service.